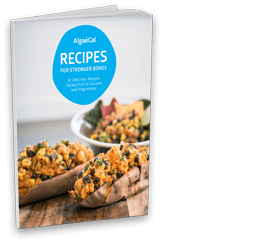 AlgaeCal » Where To Buy AlgaeCal Plus? There are millions of men and women out there suffering from osteoporosis, and it is our mission to help all of them! That’s why we ship our products all over the world. View our complete product range. There you can select the exact product you want – AlgaeCal Plus, Strontium Boost, AlgaeCal Basic or Triple Power Omega 3 Fish Oil – in the quantity you need. You can also see our special Bone Builder Packs – where you get the guaranteed solution to bone density loss. The Bone Builder Packs actually INCREASE your bone density! What if you have sensitivities to AlgaeCal/decide it’s not right for you? AlgaeCal offers a 1-Year Money-Back Guarantee on all products. We either leave your 100% satisfied or you get your money back. Period. That’s why we give you a full year to test drive our products and superior service! For all our products, we accept Visa, Mastercard, American Express, Discover and cheques as form of payment. We deliver to all US and Canadian addresses within 5 business days. For all other (international) locations, delivery may take up to two weeks. 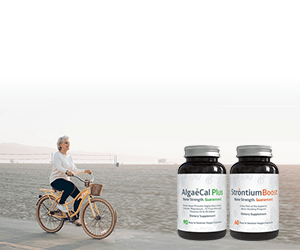 Our team of Bone Health Consultants is ready and willing to help you increase your bone density with AlgaeCal Plus and Strontium Boost. Call Monday–Friday: 6:00am to 4:00pm (PST), Saturday: 7:00am to 5:00pm (PST), Sunday: 8:00am to 4:00pm (PST). 3. 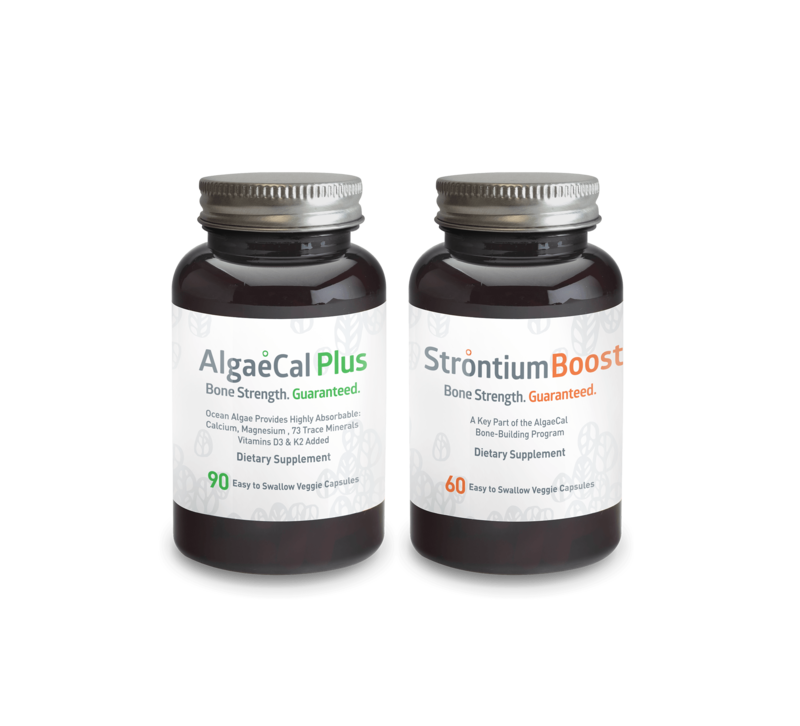 Get AlgaeCal Plus and Strontium Boost on Amazon. We accept international orders. Simply add your desired items to your cart and follow the checkout process. US: Currently, the only place you can buy AlgaeCal in the US is on this website. Canada: A handful of stores across Canada carry a retail brand of AlgaeCal Basic. AlgaeCal Basic is recommended for those maintaining bone (as opposed to building bone) or for those who are taking blood thinners. But if you are suffering from osteoporosis and need to build bone density, AlgaeCal Plus is more suitable. Both products contain ALL 13 known essential bone supporting minerals (calcium, magnesium, boron, copper, manganese, silicon, nickel, selenium, strontium, phosphorus, potassium, vanadium, and zinc) and vitamin D3. However, AlgaeCal Plus contains additional magnesium and Vitamin K2, which are crucial for bone building. The best place to buy AlgaeCal in Canada is on our website. Australia: We currently do not have a distributor for you to buy AlgaeCal in Australia from a retail store. Please order online on our website. UK: The best place to buy AlgaeCal in the UK is on this website. If you reside in any of the above countries and wish to order our products, please contact us before you order by submitting an email via the form on our Contact Us page. Or call us Monday–Friday: 6:00am to 4:00pm (PST), Saturday: 7:00am to 5:00pm (PST), Sunday: 8:00am to 4:00pm (PST). We include free regular shipping on your order. Please visit our Shipping and Returns page for more information about express shipping, order handling and order tracking. Shipping to the US or Canada does not incur customs or duty because we have distribution centers in both these countries. However, if you reside in another country and would like specific information on whether customs will be applied to your order, please contact us by submitting an email via the form on our Contact Us page. Sometimes we get asked whether our products can be purchased from a retail store. The answer is, no, usually not. In order to keep prices down and ensure that our products are of the highest quality when they reach you, they are sold online and sent straight to your door once your order is placed. Bulk Ingredient Inquiries of AlgaeCal Ingredients by clicking here. Stop wasting money on traditional calcium supplements that only SLOW your annual bone loss!